Woah, what a whirlwind the past week and a half has been. 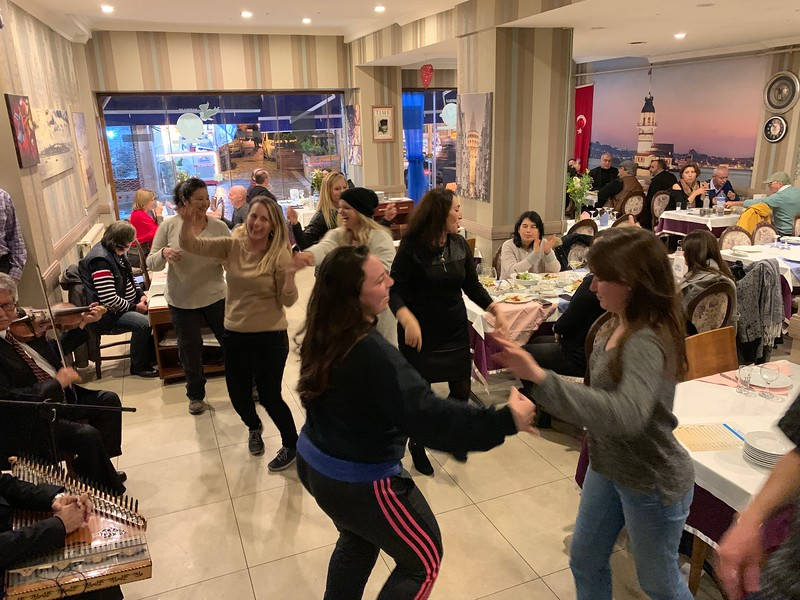 From the Blue Mosque and Grand Bazaar to dancing in a local restaurant with our new friends, we topped off our Holy Land adventure with a full day of exploring the beautiful city of Istanbul. The highlight of the day was visiting the Hagia Sophia. When the Roman emperor Constantine moved his capital city to what became known as Constantinople (now Istanbul) in the 4th century, he created the first Christian empire and built one of the first churches where we now see the Hagia Sophia. When Constantine declared Christianity a lawful religion, Christians were able to worship in Rome without persecution, and from his Council of Nicaea came the Creed and the Bible that we know today. The Hagia Sophia is the third church built on that piece of land after destructions and renovations, but when you look at it and see the history, you remember that Christianity is what it is today because of a church built right there 1700 years ago. While we were in Capernaum, Randy, our trip pastor, talked about how we as Americans tend to read that verse and think about the United States as Jerusalem, picturing the rest of the world as the ends of the earth. But Jesus and Paul weren’t in the United States. They were across the world, longing to bring the message to us. From Constantinople and from the other first churches, Christianity has made its way to us, the ends of the earth. Let’s go and see where else we can take it. Thank you all again for your prayers and support! We can’t wait to see you and tell you all about our information-loaded, faith-strengthening, life-changing adventure.